A mental health therapist who has also shared in the struggle to understand the relationship that food and emotions serve in the image of self worth. A Low-Cost Workshop to help you understand the relationship between what you eat and how you feel. Are you tired of repeating the endless cycle of using food to soothe your emotions? 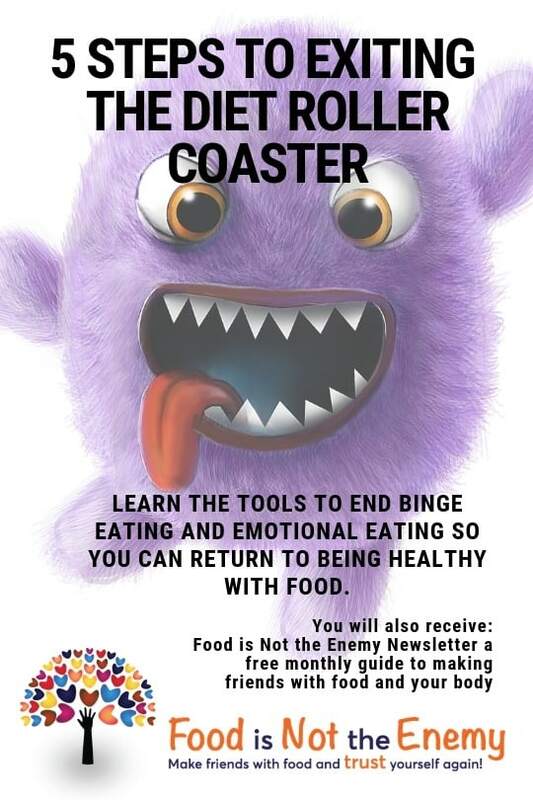 Do you want to experience freedom from emotional eating and gain understanding for the reasons behind your food choices? Join us for a low-cost 2-hour workshop for anyone wanting help to gain self-awareness between your relationship to food and the emotions you are experiencing. Gain understanding of how your relationship with food mirrors other areas of your life and how you feel about yourself. Meet others fighting the same battles; realizing and getting that you are not alone. And it’s only $10! You have nothing to lose and so much to gain by joining us for a wonderful opportunity to connect, grow, and find self-love within. 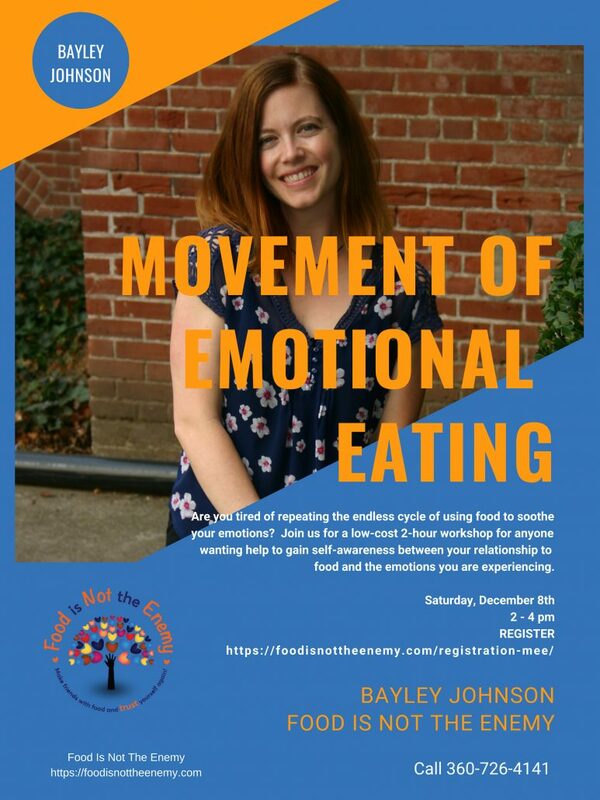 The workshop will be led by Bayley Johnson, a mental health therapist who has also shared in the struggle to understand the relationship that food and emotions serve in the image of self worth. What’s on Your Plate? – 2-4pm Low-cost ($10) workshop for anyone struggling with food and body image. Gain understanding toward healing your relationship with food and emotions. You are not alone. Meet others who feel as you do. Vancouver, WA, More information email bayley@foodisnottheenemy.com.